Sometimes the best teachers are the unexpected ones. We all know this joy, thank you for the reminder little Rafi. She lives in real time and has yet no digital persona. 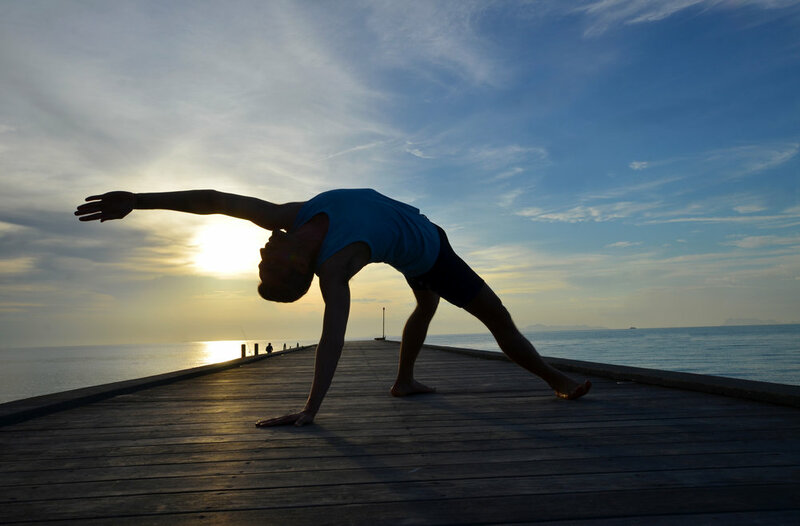 A serene blue sunset, in Koh Samui, Thailand, with Manuel de la Torre, yoga and fitness instructor at Samahita Retreat. His calm and supportive nature will help you practice in a meaningful manner. If you'd like to connect: @yogaconmanu. Margit Kaper is a dedicated yoga practitioner and teacher in Vienna, Austria. I've never laughed and giggled more on a photoshoot, she is bursting with joy at the seems and dared to try some shapes out on the sand with a smile everlasting. When mom and daughter get seriously playful in front of jeep that just so happens to roll up with coconuts in the back. Love the unexpected moment in life. A shot of Sanem on the beach. A gorgeous hot and breezy day in paradise. Nature is always my favourite, unpredictable subject to capture. Framed so beautifully by the clouds and the waves. Getting down with nature with the beautiful Adeleena. Was lovely to work with her. A very wet and sandy shot, but nature came in to complement her structures nicely. Stability, power and grace on the rocks. Love it. Another beautiful day shooting on the beach, with Vicky from Israel.